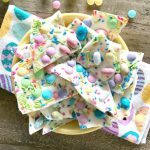 White Chocolate Easter Bunny Bark – This yummy bark is a holiday tradition around my house. Each year it’s a little bit different. We add some or take off the toppings. Anything goes with this fun and oh so delicious bark. Enjoy! This delectable recipe is so much fun to make with the kids. I call this an edible craft. They can use their own imagination on what to put on the white creamy chocolate. 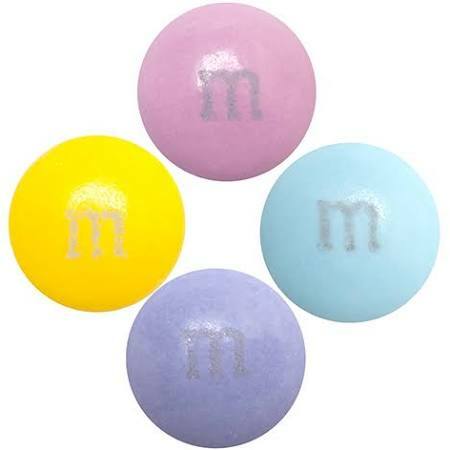 One thing is for sure, everyone including adults will love this candy treat. 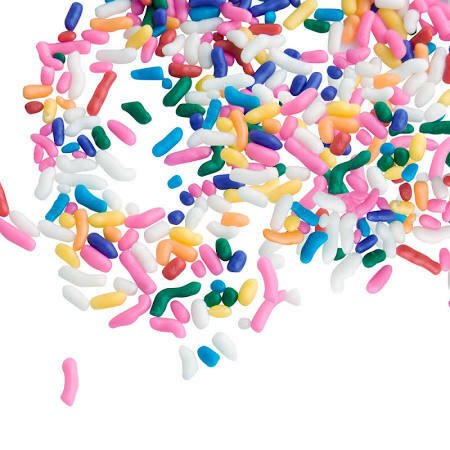 Have fun creating with your favorite candies and other toppings. Please note, I am not giving you amounts for ingredients. You decide how much or little goes on the bark. As for the chocolate. For this recipe I used half a block of white chocolate Almond Bark. 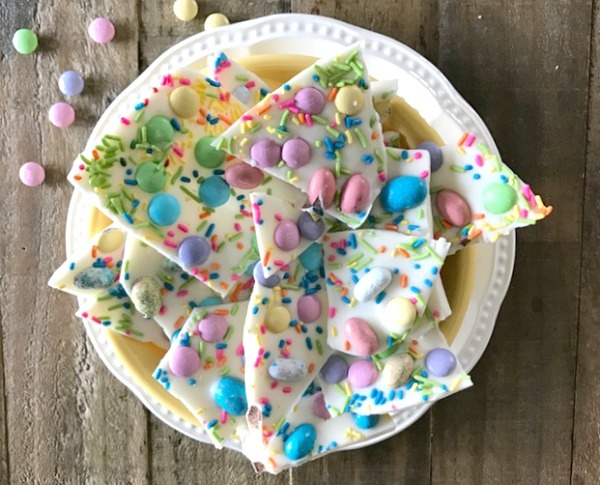 White Chocolate Almond Bark or Wilton White Candy Melts, found at Walmart and Michael’s or online. 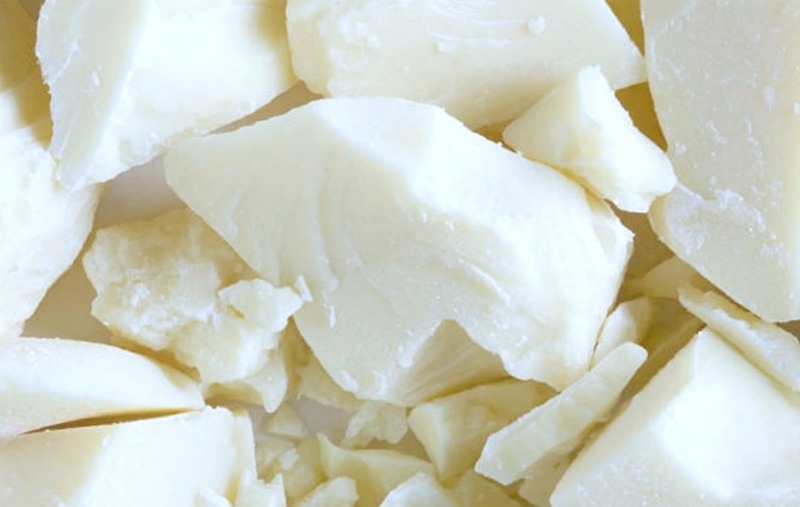 DO Not use white chocolate chips, they won’t melt properly. Line a cookie sheet with wax or parchment paper, set aside. Have all your toppings and add-ons ready to go and out of their packages. Chop up chocolate into medium pieces. Leave out one or two larger chunks. Put into a microwave safe bowl for 30 seconds. Take out, stir with a rubber spatula. Put back in for another 30 seconds. Stir again. Do this until the chocolate is almost melted. Keep stirring. It should melt completely. Toss the remaining two pieces into the melted chocolate and stir to melt. This will temper the chocolate to let it stay set on the counter after it’s all done. Pour chocolate onto cookie sheet. Spread evenly with rubber spatula or an offset spatula. Let sit for just one minute. 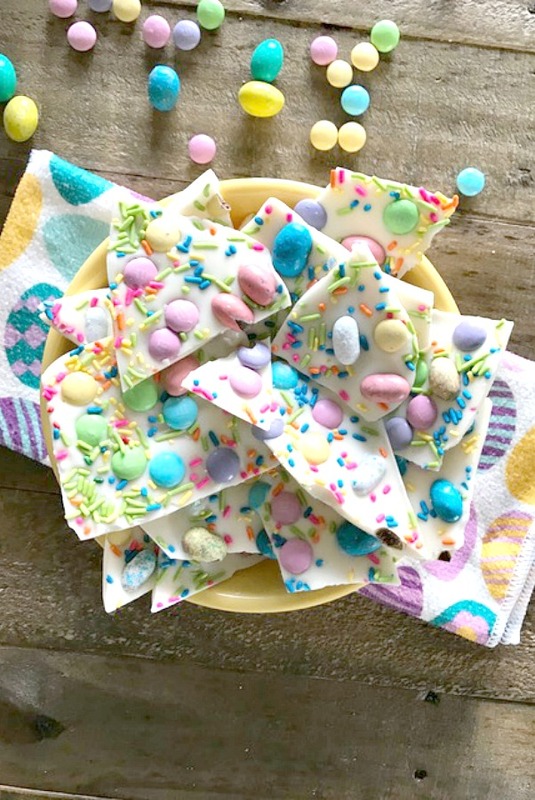 Now, go for it and have fun decorating your bunny bark. After you have everything on. Gently press the toppings into the chocolate. Place in freezer for 10 minutes. Take out and let sit on counter for about 20 minutes. Break up your bunny bark and take a big bite! Enjoy the bunny bar deliciousness! 1.Line a cookie sheet with wax or parchment paper, set aside. Have all your toppings and add-ons ready to go and out of their packages. 2.Chop up chocolate into medium pieces. Leave out one or two larger chunks. Put into a microwave safe bowl for 30 seconds. Take out, stir with a rubber spatula. Put back in for another 30 seconds. Stir again. Do this until the chocolate is almost melted. Keep stirring. It should melt completely. Toss the remaining two pieces into the melted chocolate and stir to melt. This will temper the chocolate to let it stay set on the counter after it’s all done. 3.Pour chocolate onto cookie sheet. Spread evenly with rubber spatula or an offset spatula. 4.Let sit for just one minute. 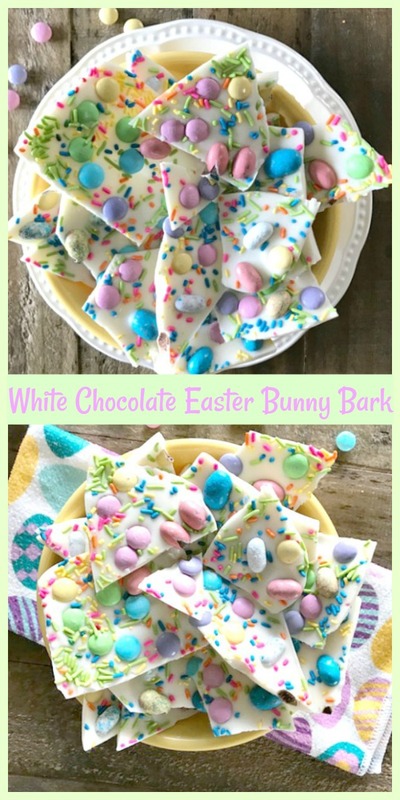 Now, go for it and have fun decorating your bunny bark. After you have everything on. Gently press the toppings into the chocolate. Place in freezer for 10 minutes. Take out and let sit on counter for about 20 minutes. Break up your bunny bark and take a big bite! Enjoy!